CUNY+ is an online Catalog shared by all of the CUNY Colleges. 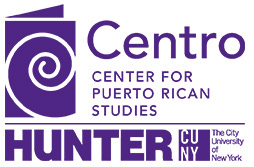 The Center for Puerto Rican Studies Library has its holding on CUNY+ as well. These items include books, dissertations, finding aids and some films. Before using CUNY+, be sure to look at the guide below for suggested search methods. You do not have to be at Centro to conduct searches on CUNY+, you simply need to be using any device connected to the internet. Please be aware that unlike many other CUNY based institutions, the Centro Library does not circulate any of its materials and does not participate in an inter-library loan system. CUNY+ also has a link to CUNY OneSearch that allows you to search the entire CUNY catalog, academic journals, periodicals, magazines, books and multimedia items CUNY wide. CUNY One plus is a useful resource to start your search on a specific topic or if you need obtain sources from library resources. CUNY OneSearch also gives you the ability to search through World Cat, to see what other library worldwide has the materials. CUNY OneSearch is available online from a CUNY campus or entering your library bar-code. Once you are on the CUNY+ page, you can begin searching through the various catalogs within the CUNY system. To specifically search the Centro’s catalog, select Centro at Hunter from the drop down menu on the right. This will ensure that your results will display items held at Centro. Search results will display a list of 20 items per page consisting of authors, titles and date. These items are typically arranged in chronological order with newer items placed at the top. It is strongly suggested that you make a note of the call number of the item. This will allow the librarian to quickly locate the items you need. The call number can be viewed by clicking on the word Centro in the availability section of the list. Examples of call numbers are F128.9 .P85 S264 2010 or THESIS 2324. For dissertations type the word 'thesis' and select the 'All Fields' in the search type. The Command Search tab on the CUNY+ catalog, allows individuals to conduct Boolean searches. You can refine your search by language, material and record type and location, if you are interested in seeing whether another CUNY institution has the material in addition to Centro you do that by choosing “All CUNY Libraries” from the drop down menu. • Avoid using one-word searches. Often using one word leads to retrieving many irrelevant results. • When conducting a basic search, try to be as specific as possible by either using names or including words such as Puerto Rican or Puerto Rico. • Be careful when using words such as and, or, not. These words may limit the amount of items retrieved. • Call numbers for dissertations only consist of a number. • If you are interested in only retrieving dissertations, try including the word “thesis” in your search query. • Avoid using punctuation marks in a search query. • CUNY+ does not allow for fuzzy searching, please be sure to spell author name or keywords properly. • When relevant materials are found, click on the subject headings of the records to find related materials.